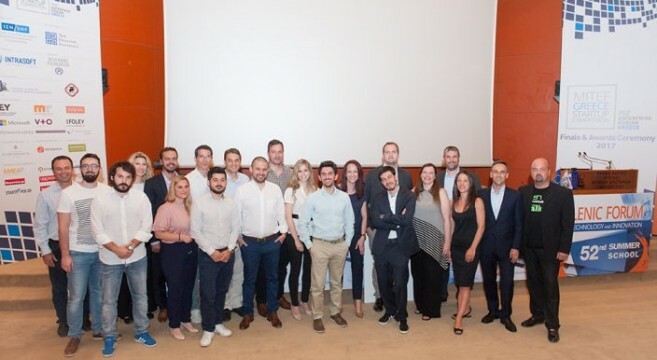 That was the 3rd edition of the MITEF Greece Startup Competition, an acceleration program that aims to identify promising Greek technology startups and accelerates them to the global market. 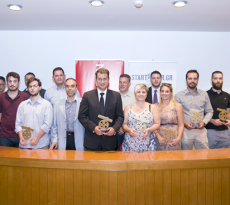 During an intensive period of workshops and mentoring, all participants had a unique opportunity to improve their business skills, gain hands-on knowledge and valuable input, build their team, network in Greece and abroad and develop partnerships that will help them further up their startup goals. The competition’s winner, Fresh Strips B.V., is a plastic sticker which gets attached to food or medical supplies packages and indicates if the product is safe by changing color. 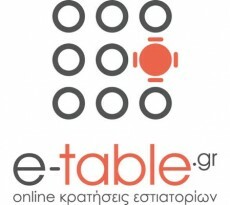 Their team represents a synergy between EY, TU/e, NTUA, Merck and HighTechXL. In just 3 months they have won the Displaying Futures Award and funding by Merck and the Get in the Ring Netherlands competition (300 applicants). Fresh Strips vision is that every package, food or vaccine will have their strip which will become the world’s most accurate sensor. The 1st runner up is​ Exclusivi, that offers hotels intelligence for driving guest spending and interfaces that are easy, engaging & fun. Exclusivi consolidates content & APIs from Hotels, Destination Management Companies & local vendors, providing a seamless guest experience. Their integrations, CRM & Analytics offer unparalleled insights, while their mobile & TV apps, smart WiFi portal and marketing automation enable hoteliers to act on these insights, at scale. The 2nd runner up is CubeRM, a Pricing Management & Optimization SaaS platform, based on sophisticated predictive analytics methods, targeting large global corporations, with special focus on the Life Sciences, FMCG and Hi-Tech industries. CubeRM can assist target customers to create a pricing governance system, ensuring control and process compliance and help them save more than $100M and thousands of productive hours each year. The winners will be awarded a combination of cash, in-kind contribution and services provided by EY, KornFerry | HayGroup, Dracopoulos & Vassalakis LP, Foley & Lardner LLP and Sylipsis. Moreover, INTRASOFT International, the global ICT company, will tailor a program focusing on technological know-how and networking for Exclusivi, selected according to its final rank in the competition. Specifically, the program will include: hosting of the entrepreneurial team in INTRASOFT premises, business and technology focused guidance and consulting compatible with the team’s activities, offered by INTRASOFT staff, as well as business communication services and specialist consultancy services (on administration, legal and financial issues and human resources management). In addition, it will include grants for the participation in a European conference and networking initiatives with clients in the geographic areas where INTRASOFT operates. Furthermore, our invited speakers Conno Christou, Co-founder, Avocarrot, Christos Kontellis, General Manager, BU Enterprise Solutions, INTRASOFT International and Alex Maniatopoulos, CEO, Yodiwo, and winner of last year’s competition, shared their experience and his experience in participating at last year’s MITEF Greece Startup Competition and discussed the opportunities that innovative technology creates. We want to specially thank the 70 judges, 65 mentors and 16 coaches that through their support made this competition possible. We continue our efforts ​with all of you on our side as a community growing stronger every day.